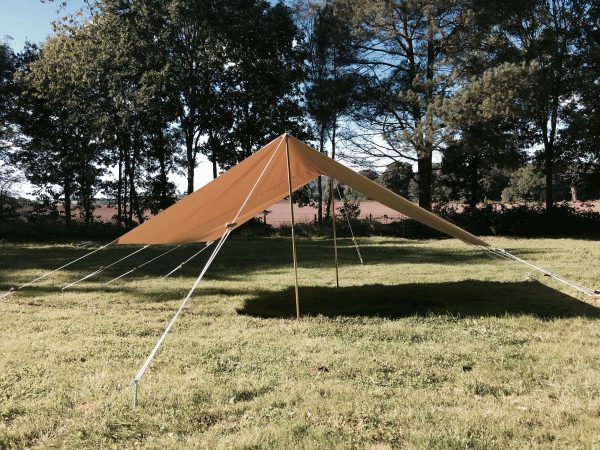 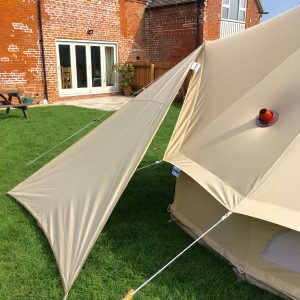 The Karma Canvas large awning will perfectly complement your bell tent of any size (4m, 5m, 6m & 7m) by creating a perfectly matching porch. 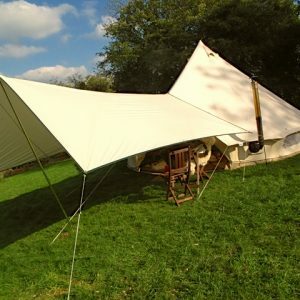 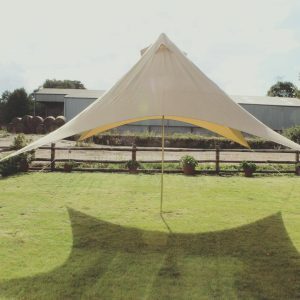 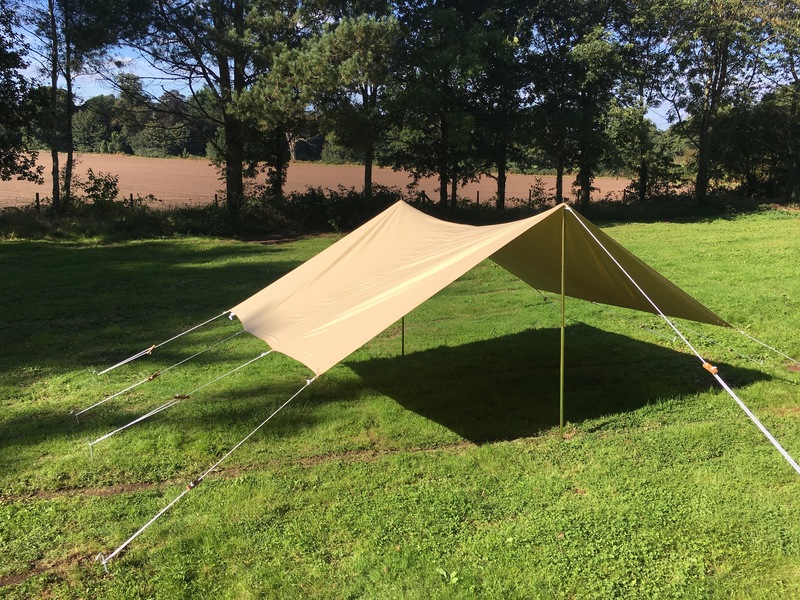 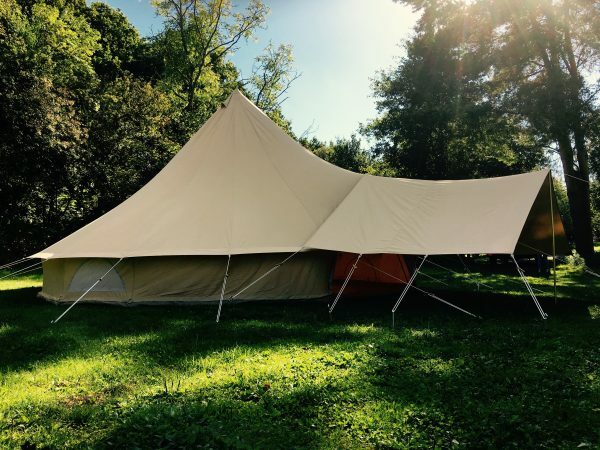 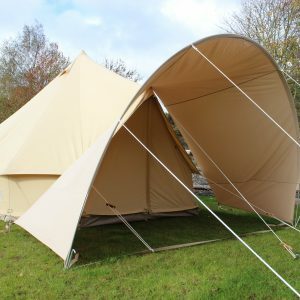 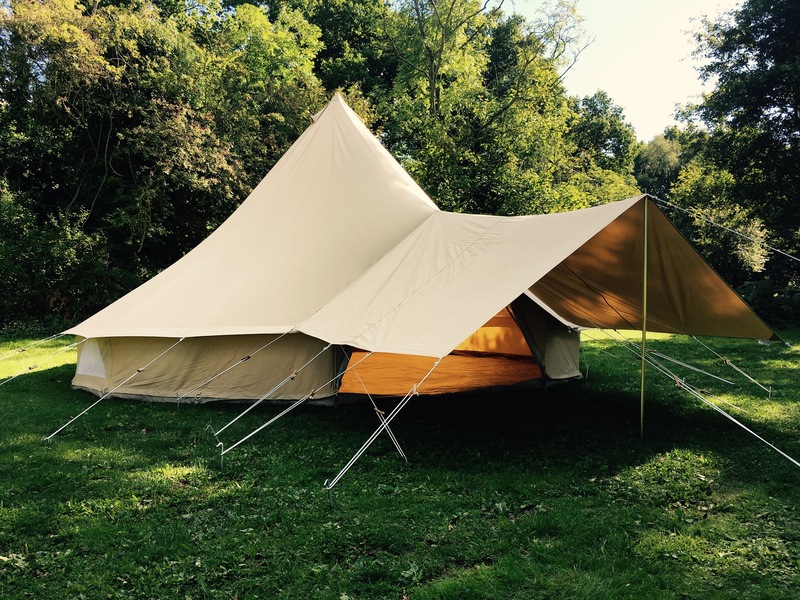 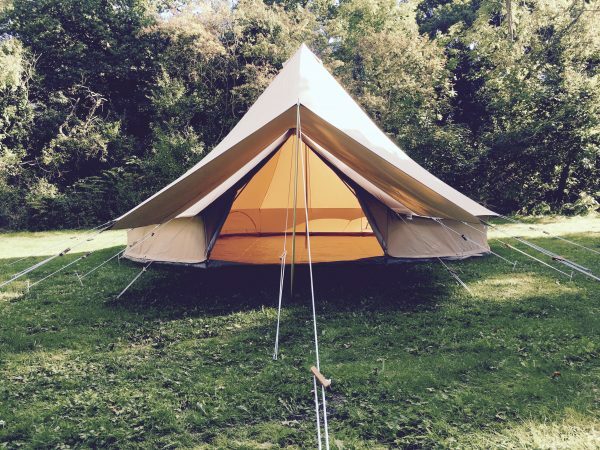 Made in 285gsm 100% natural, organic cotton canvas, the same material as our standard bell tents, it generously measures 400cm x 260cm. 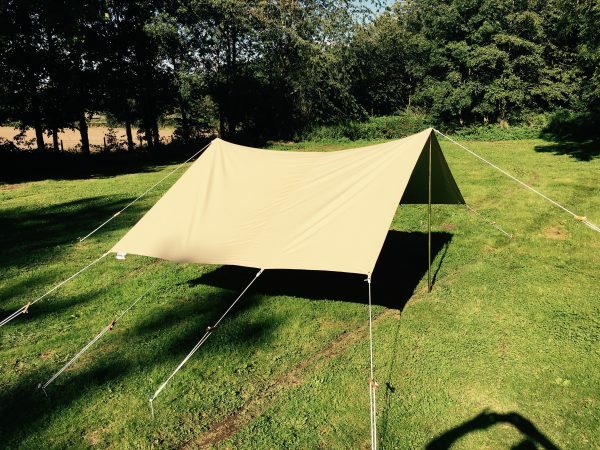 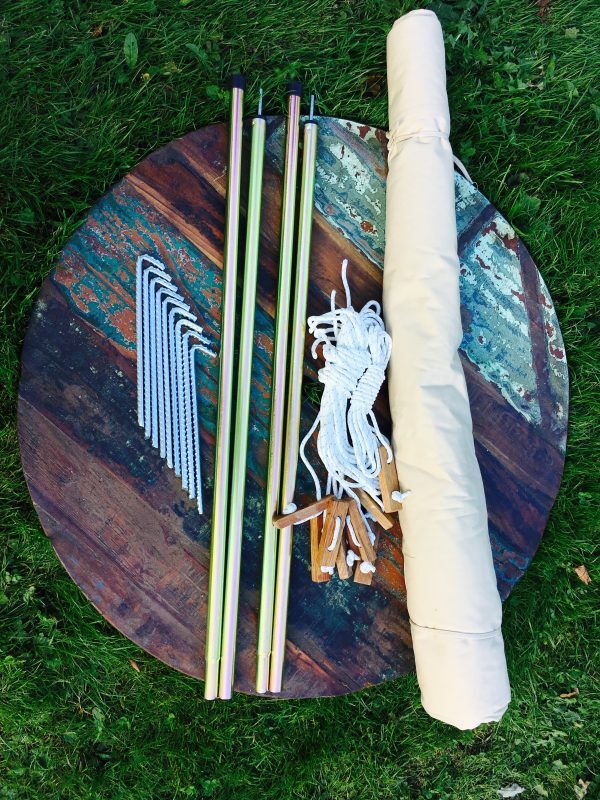 It also comes with 1 x 170cm pole, chunky wooden guy sliders, extra thick reflective guys, re-bar pegs and a matching canvas carry bag.